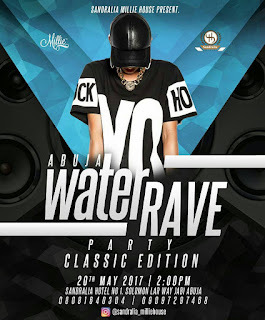 Home Lifestyle CLASSIC EDITION: Abuja Water RAVE Takes Centre At The Prestigious Sandralia Hotels....Don't Miss The Tales! 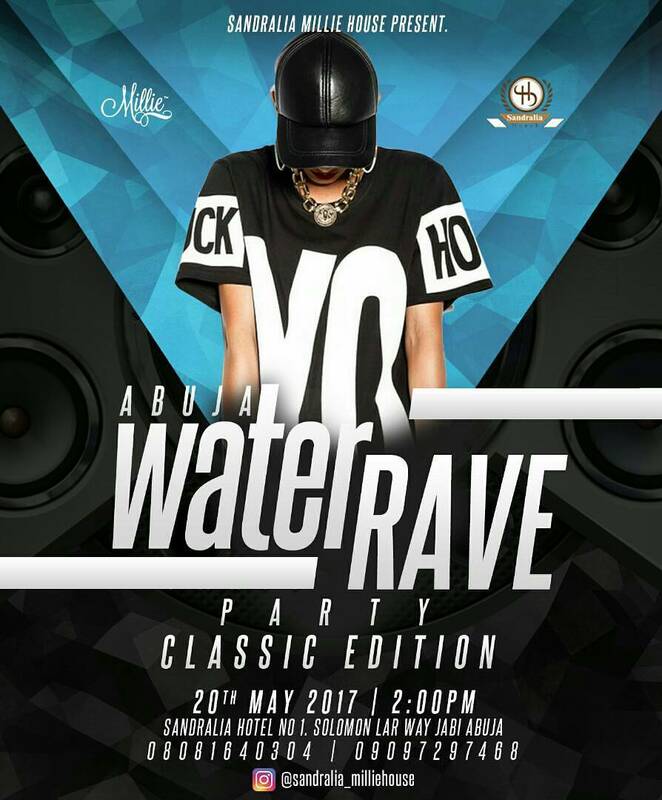 CLASSIC EDITION: Abuja Water RAVE Takes Centre At The Prestigious Sandralia Hotels....Don't Miss The Tales! The city of Abuja is set to witness another overwhelming convergence of fun lovers at the 5 Star Sandralia Hotels with the hosting of ABUJA WATER RAVE celebration - indeed a Classic Edition. All is ready As Sandralia Millie House Stages one of the most anticipated gathering of FCT residents and beyond on ‎20th May, 2017 starting from 2:00pm at No 1. Solomon Lar, Jabi - Abuja.